owner of Entrancing Music (Record Label) www.entrancingmusic.com for promos and questions: please inbox me or send me a message on my facebook page Armin van buuren on A State of Trance (won the Future Favourite), Paul van Dyk, Markus Schulz on Global Dj Broadcast, Cosmic Gate, Giuseppe Ottaviani, Alex M.O.R.P.H, Rank1, M.I.K.E, Lange, Antillas, Bjorn Akesson, Kyau & Albert, Woody van Eden, Maarten de Jong, Alexander Popov, DJ Anna Lee, Mike Saint-Jules, Johan Ekman, Suzy Solar, Torio, Tucandeo, Mr Pit, DJ FEEL, Grube & Hovsepian, Neil Moore, Andrea Mazza, Aurosonic ,Rafael Osmo, Dav Gomrass, Marc van Gale ,ASKII, Ian Standerwick, Dj T.H. many more!! His tracks were played at events like Ultra Music Festival Europe, EDC UK, Creamfields UK, Electronic Family, Transmission, Trance Nation, Luminosity Beach Festival, Dreambeach Spain, Cream @ Amnesia Ibiza, Alfa Future People Festival, Club Space Miami, We Are One Festival Berlin, Club Cavo Paradiso Mykonos, Ministry of Sound and many more In 2014 FloE launched his own label together with Dirk A. called Entrancing Music. It gained support by all the big names in the scene. Check it out under www.entrancingmusic.com Labels FloE worked with Entrancing Music (Owner) Black Hole Recordings GO ON AIR Recordings Planet Love Recordings Sorcery Records Dub Tech (Istmo music) Silent Shore records Amplified Digital Nexgen Sounds (Redux) Baleric Sun Records (Redux) TFB Records Progressive House Worldwide FloE started a new Radio show called Entrancing Music every 2nd Tuesday 19:00-20:00 CET @ DI.FM/VOCALTRANCE https://www.facebook.com/DJFloE In 2014 FloE launched his own label together with Dirk A. called Entrancing Music. It gained support by all the big names in the scene. Check it out under www.entrancingmusic.com Born and raised in Regensburg, Germany, FloE’s musical journey started when he discovered the first trance track from the legendary Cosmic Gate some years ago. From that moment on Florian Lugauer knew he wanted to be a part of ‘The Trance Scene’. His interest in electronic music started to grow in 1999. In 2003, at the age of 17, he bought himself his first dj controller. Only few years later, at the age of 21, he was ready to do the next step and bought professional equipment which led to his decission not only to play tracks of other producers. So he decided to start to produce music. This was the beginning of creating a lot of tracks, which got more and more professional over the time.. In 2011, he decided to start releasing his music on different labels like Black Hole Recordins until the launch of his own label called Entrancing Music. He has been playing at small private partys for a while yet, but at that time he got his first real bookings for events such as Bavarian Dance Music and Gong FM Mighty DJ or the Electro shock events. After receiving several offers, FloE joined various Labels where he distributed his first official releases in 2011 followed by many moore! 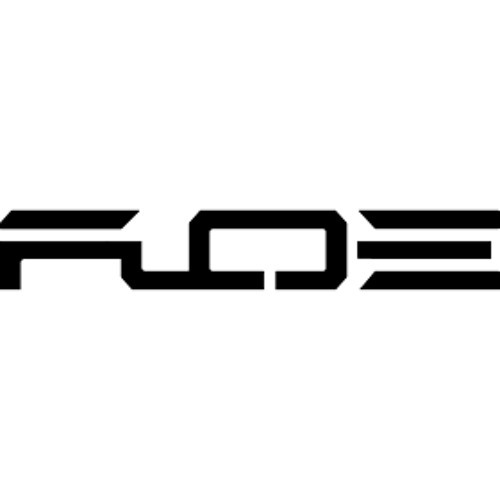 Suffice to say, the Trance Music scene should be expecting big things from FloE in 2016..